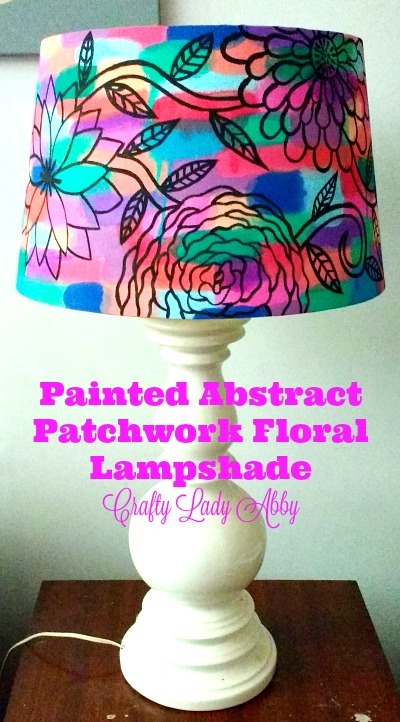 I used DecoArt Americana Acrylic paint and some imagination, to create a painted abstract patchwork floral lampshade. Many years ago, I bought white drum lampshades for my mother's old shiny white curvy lamps. I'd had one of the lamps in my childhood bedroom, but found the mate when rummaging through my parents attic. Mom wasn't using those lamps, so I happily took them for my own home. Now while I bought these shades years ago, they literally still had the plastic on them, so they were pristine white. If you're using an old white lampshade, give it a cleaning before painting. 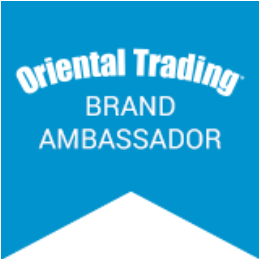 You all know my design style caters to my personal wacky taste, but feel free to alter the colors to your own desires. This shade is quite bright and funky, to match my gallery wall. 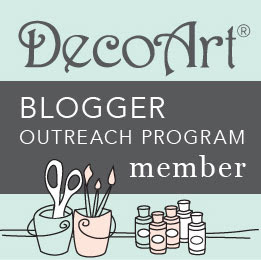 DecoArt supplied me with some of the paint for this project. 1) When picking out your colors, chose a few shades of each color tone you like. I picked soft blue greens, blues, pinks, salmons, and purples. 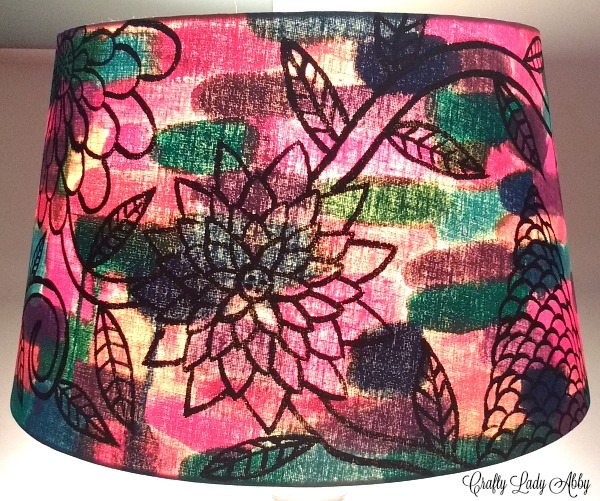 My decor has a wall of colorful artwork, which my finished lamp now coordinates with. Pick any color combo that goes with your decor, including neutrals. You need a white lampshade, not one you've painted white, or the colors won't show well once the shade is lit. 2) Pour a few colors onto your paper plate. 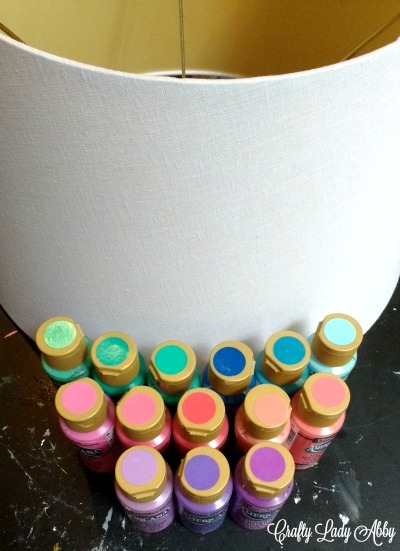 Add a few drops of water to each color, before painting with that color. Mix the water into the paint with the flat paint brush. Apply long strokes, overlapping the colors slightly. 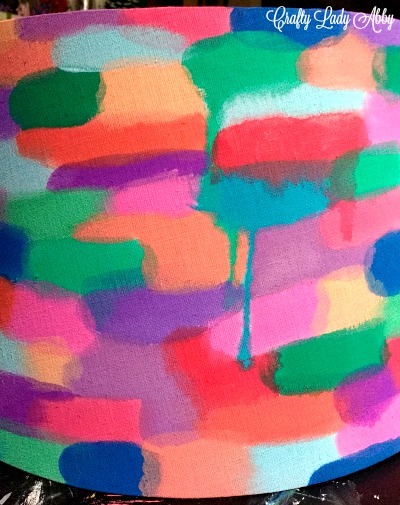 My process is using one color, painting patches around the lampshade, rinsing my brush, and repeating this painting technique with each color. With watered down paint, the drips will occur, but if they don't, add more water to the paint, flood the paintbrush, and press the brush against the paint patch, to cause a drip. Thinned paint not only helps with drips, but allows more light to come through the shade later. 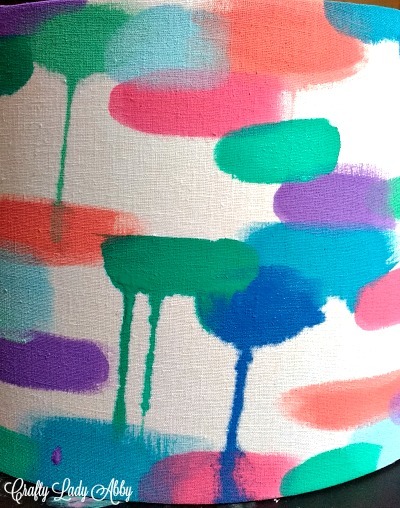 3) Continue filling in the lampshade with a patchwork of paint. 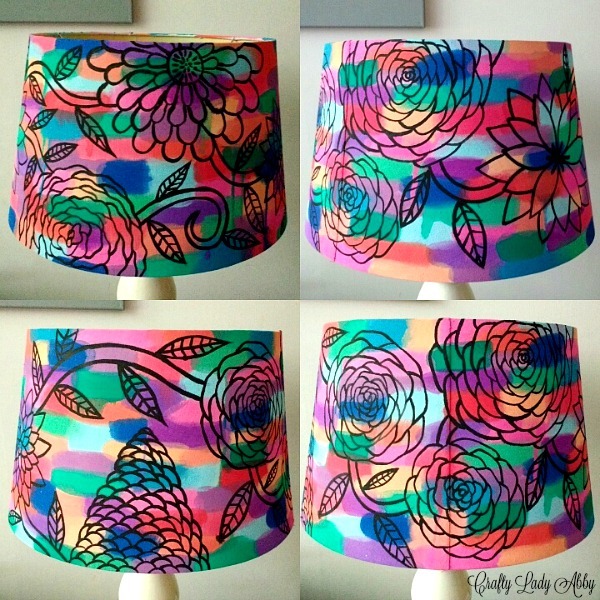 4) With the black paint and liner paintbrush, paint a floral design around the lampshade. If you aren't comfortable with making floral designs, practice with paper and pencil first. I've been making floral designs for decades...gosh that makes me feel old. I recently found some old flower paintings, back when I was really into oil painting, from high school. I like to keep my designs loose and almost coloring book style. 5) When the lampshade is dry, put it onto the lamp. Turn on the light, to see the design differently. You can see that the colors appear darker, which I found interesting. That's it for this project. The patchwork painting it something great for beginners, but the floral is a little more advanced. Like I mentioned before, practice. Also, if floral isn't your thing, pick a different motif to paint in black...or white...silver...gold...whatever you like. A city skyscape, skulls, circles, lines...whatever linework design you want. Whatever you're making, have fun with it. Happy Makery!